Will A.R.Antulay (Jt) Come To The Aid of OPS In His Fight Against Disqualification On The Ground Of Defection? 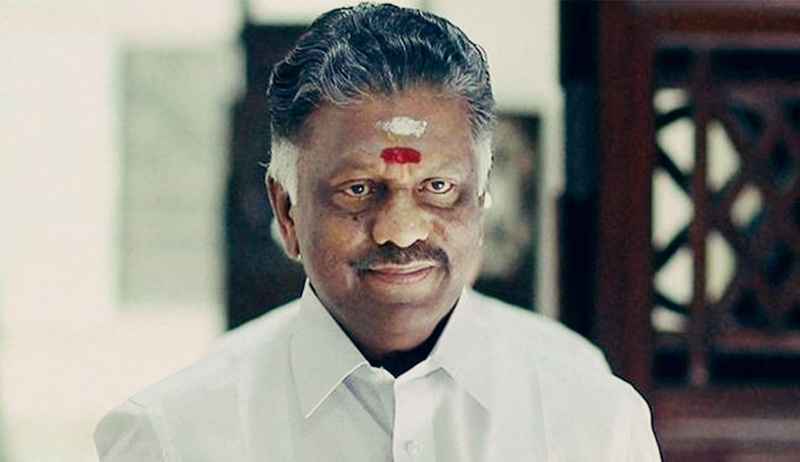 Last week, during the Supreme Court’s hearing of the challenges to non-disqualification of 11 MLAs led by the Deputy Chief Minister, O.Panneerselvam in Tamil Nadu, the bench of Justices A.K.Sikri, Ashok Bhushan and S.Abdul Nazeer, was told that the landmark case fought by the former Chief Minister of Maharashtra, the late A.R.Antulay, could indeed provide an answer to the dilemma before the Court. The senior counsel for the 11 MLAs, Mukul Rohatgi, referred to the Antulay case, to drive home his contention that the 11 MLAs are entitled to a hearing before the Speaker of the Tamil Nadu assembly, and if the High Court or the Supreme Court decided to directly adjudicate the disqualification petitions pending before the Speaker, to avoid the delay, it would affect their fundamental right to avail of different stages in the legal remedies. Antulay faced the allegation that a trust floated by him in 1980 -Indira Gandhi Pratibha Pratishsthan- to encourage talented people in the field of literature and fine arts, amassed crores of rupees through donations by cheques. The allegation led to his quitting as the chief minister in 1982. In 1984, a five-Judge Constitution bench of the Supreme Court had transferred Antulay’s trial before a special court to the Bombay high court in order to expedite hearing. Antulay, aggrieved that his right to use appellate remedy was unjustly taken away by the Supreme Court’s interference with the trial court’s hearing, sought reconsideration of its judgment. In 1988, agreeing with Antulay, a seven-judge bench considered its 1984 judgment unjust, illegal and unconstitutional under Article 21 of the Constitution. The case, A.R.Antulay v R.S.Nayak, decided on April 29, 1988, was a landmark judgment for the proposition that an applicant can claim legal remedy as a matter of right, which the court cannot refuse, known by the maxim, ex debito justitiae. The other maxim which it relied on was actus curiae neminem gravabit, that is, ensuring that neither party before the court is prejudiced by some accidental or unavoidable action or omission of the court. Since then, the Supreme Court’s 1988 judgment in the Antulay case, has been repeatedly cited by several senior counsel, to persuade the Court to either reverse its earlier ruling, or to prevent the Court from doing away with an accused’s legal remedies in order to expedite the hearing of a case, whenever it suited them. But the Court has always considered the 1988 judgment in the Antulay case as one of its kind, with unique facts of is own, and refused to rely on it as a precedent. When Rohatgi cited the Antulay case before the Sikri bench last week, Justice Sikri did not reveal his mind on its relevance to Tamil Nadu disqualification case, where the Speaker has abdicated his responsibility to decide the petitions before him under the Tenth Schedule to the Constitution. One has to await the outcome of the case to know whether at all the bench considers Antulay of any help to OPS and his faction.